Photos of the Moto E, Motorola’s cheaper alternative to the Moto G, appeared on Motorola’s Mexican Facebook page and on HelloMotoHK yesterday. 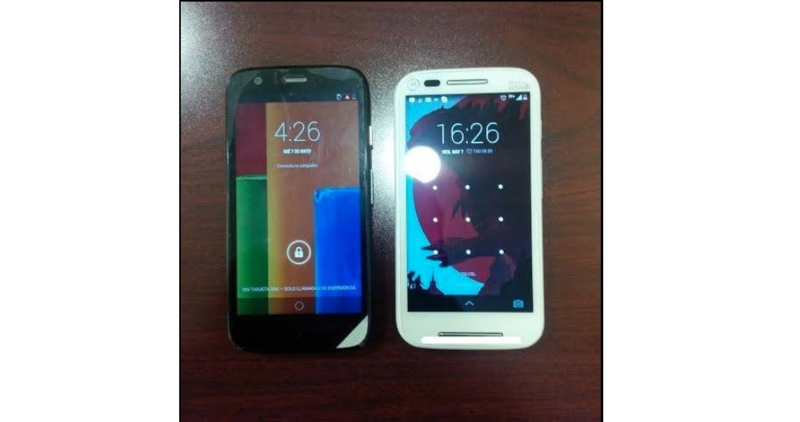 The above image from Facebook (Moto G on the left, alleged Moto E on the right) shows a clean and minamalistic phone without many sensors. In fact, it even seems to lack a front-facing camera, which could be a cost-cutting measure. Given the ubiquity of the front shooter on even the cheapest of smartphones, though, some may question the wisdom of eschewing it. The HelloMotoHK photo reportedly shows the reverse of the device, and also reveals a few potential color choices – white, red, teal, and yellow models are apparently in the cards. Whether or not all will be available at launch, is another question. 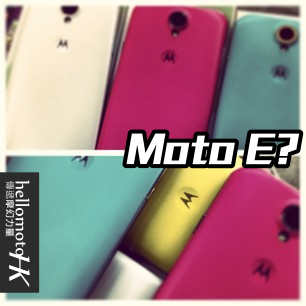 It is widely speculated Motorola will officially unveil the Moto E at an event in London on May 13.